‘Happy Death Day 2 U’: It’s Déjà Vu, Wah Boo-Hoo, Oh Screw You! Welcome back to the day that never ends, no matter how many times you die! Most of us should remember the trials and tribulations of Tree Gelbman (Jessica Rothe) from the first film, how Tree is your typical no-f*cks-given sorority girl type who finds herself stuck reliving and dying in the same day, over and over. 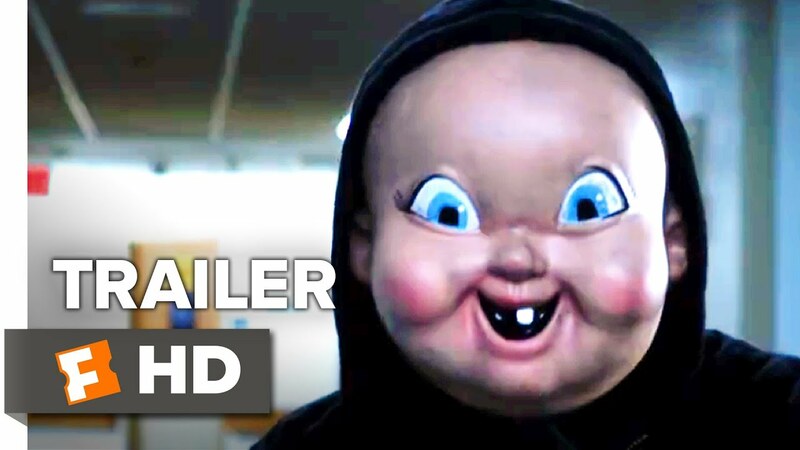 But if for some reason you’re here seeing the sequel without having seen the first Happy Death Day, there is a cute little explanatory montage from the first film, right at the beginning after introducing a secondary turned main character. So Ryan (Phi Vu), Carter’s roommate and the guy who kept asking if Carter (Israel Broussard) had hit that fine –censored- of Tree’s in the first film, is actually a rather smart guy. His pet science project that he nicknamed ‘Sissy’, turns out to be an attempt at a, you guessed it, time machine. And the college professor who’s overseeing the pet project of Ryan’s, along with some little nerdy friends of his, want the entire thing ended and closed down right now. It is virtually impossible to say much else about the movie without giving the entire plot away, as I already tossed in the major plot point of the time machine. This sequel tries to delve into huge difficult concepts like time travel, multi-universe theories and the like, but from an eye-rolling hot-girl know-nothing perspective, and the results are often hilarious. Both new and familiar villains stalk the screen in Happy Death Day 2 U, and while their reasons for still trying to kill Tree and her companions might be entirely predictable and silly, the movie makes smart use of multiple montages in a kind of montage-athon manner, that made the first film quite popular. While the first Happy Death Day was compared to the beloved Groundhog Day movie for style and pacing and snark, Happy Death Day 2 U gets compared quite regularly, even inside the film, to another time-travelling classic, Back to the Future 2! Packed with plenty of eye-rolling snark, Happy Death Day 2 U comes out the day before Valentine’s Day 2019, and remains the perfect fun little romantic horror romp to see with your date!